J. Warner Wallace has done it again. 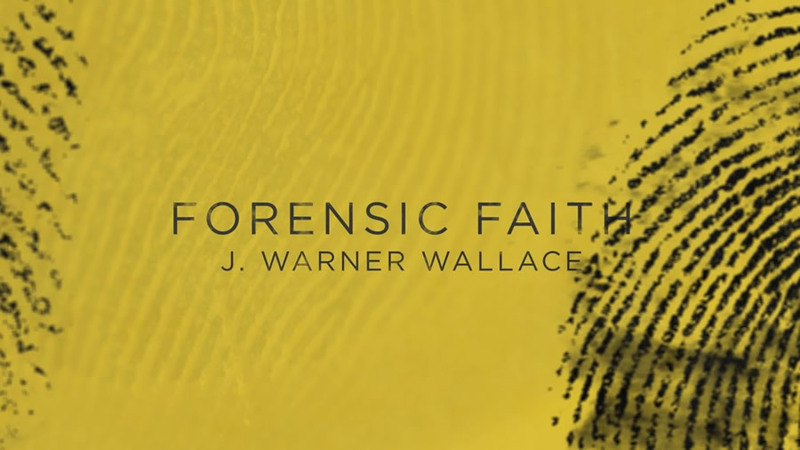 With the May 1 release of Forensic Faith, detective Wallace has completed his trilogy of books making the case for the Christian faith. In his first book, Cold-Case Christianity, J. Warner examines the resurrection and the Gospels with forensic analysis, concluding that the New Testament account of Jesus is reliable. And then in his second book God’s Crime Scene, he uses his detective skills to look at eight lines of evidence — fine-tuning, DNA, consciousness, morality, etc. — that point towards design in the universe. Forensic Faith fits within the broader theme world of apologetics, but technically is a meta-apologetics book. In other words, rather than making a case for Christianity, J. Warner now makes a case for the role of apologetics itself: “Before I can make a case for Christianity, I have to make the case for making the case” (p. 25). In other words, this book is written to both motivate and equip Christians to be case makers. As with his other books, J. Warner skillfully makes use of both detective stories and visual illustrations. In fact, it’s clear that he has put as much effort in the content of the book as with its visual appeal. And this is no accident, especially since he’s trying to model for Christians how to make an effective case both reasonably and aesthetically. Two of the chapters stand out to me. First, in chapter two, J. Warner instructs youth influencers to stop teaching youth and start training them. He tells the story of his first year as a youth minister when he strategically designed spiritual experiences for his students using music, imagery and the environment. His ministry seemed successful until all his students abandoned their faith in college. And he felt like a failure. As a result, he shifted gears and started approaching youth ministry with a training mindset. In other words, he would intentionally put opportunities on the ministry calendar for his students to live out their faith, such as mission trips to engage atheists at Berkeley and trips to Salt Lake City to reach out to Mormons, so his students would start taking preparation seriously. His students began to care about theology and apologetics because they were going to be faced with questions firsthand. He raised the bar and his students responded. The point is clear — If you want to be a good detective, pay attention to every detail, including individual words. Second, in chapter 3, Wallace discusses five practices that make a good detective. Specifically, his third investigative practice is to “Take notes and analyze the case thoroughly.” This involves paying close attention to the very words people use. That’s right, good detectives pay attention to specific adjectives and verbs and ask why the writer chose those particular words. For instance, Luke begins his Gospel claiming that he has written an “orderly” account of the events surrounding Jesus (Luke 1:1-4). The Greek sense of “orderly” indicates chronological order. So, why did Luke include the word “orderly” in his prologue? According to detective Wallace, he was likely aware of Mark’s Gospel, which, according to the early 2nd century writer Papias, was based on the eyewitness accounts of Peter, but was not written in a strictly chronological order. Thus, Luke included “orderly” to distinguish his account from Mark’s. Brilliant! Forensic Faith contains many more examples like this. But the point is clear — If you want to be a good detective, pay attention to every detail, including individual words. I could say much more about Forensic Faith, but I don’t want to steal his thunder. Honestly, I found myself saying, “Yes! Yes!” on almost every page. In all fairness, J. Warner is a good friend of mine. 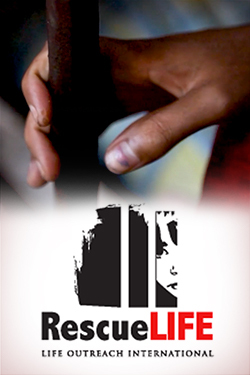 In fact, we’re working on a book together that focuses on reaching and equipping the next generation. So yes, I am biased. But as detective Wallace points out, bias does not necessarily prevent someone from seeking and communicating truth. And the truth is that Forensic Faith is a fresh, insightful and much-needed book. I especially recommend it for parents, pastors, youth influencers and (really) any Christian who wants to be an effective case-maker today. Sean McDowell, Ph.D. is a professor of Christian Apologetics at Biola University, best-selling author, popular speaker, part-time high school teacher and the Resident Scholar for Summit Ministries, California. Follow him on Twitter: @sean_mcdowell and his blog: seanmcdowell.org. Originally published at seanmcdowell.org. Reprinted with permission. One’s presuppositions will play heavily into someone looking in history for God. If you accept the presupposition that life is here by random mutations acted on by natural selection then looking into history for God is silly. But if you accept that there is an intelligent designer behind life then the question of “did this intelligent designer reveal himself to people in the past?” becomes an intriguing question. “…good detectives pay attention to specific adjectives and verbs and ask why the writer chose those particular words.” One should use the same approach for the early chapters of Genesis. Prof. Stephen Boyd of the Masters Seminary has done that in Coming to Grips with Genesis. He showed that Hebrew verb usage indicates with 99.99% certainty that the text there is meant to be read as plain narrative, not as some kind of poetry. In the same book, Prof. Todd Beall also showed from the Hebrew text that the early chapters are not meant to be taken figuratively. The creation of everything in six days is confirmed throughout the Bible. God confirms it in Exodus 20:11. Jesus confirms the Genesis account in Matthew 19:4, Mark 10:6, and Mark 13:19. Paul confirms it in several scriptures. Those who deny that God created everything must believe that the universe is eternal and that it made itself into what it is, including life on earth. Evolutionists wouldn’t put it that way, and some would deny that the universe intentionally made itself into what it is. I don’t think they would agree that the universe intentionally did anything. According to Dr. John Lennox (Adjunct Lecturer at the Oxford Centre for Christian Apologetics), the Hebrew word יוֹם has several different meanings in plain language usage, and he offers an interesting view of the six days of creation (in Seven Days that Divide the World). Details, my friends. Details. Which definition is intended by the author and when? Allow me to give an example: In World War Two, the Russians fought with the Allies with the Germans with tanks.